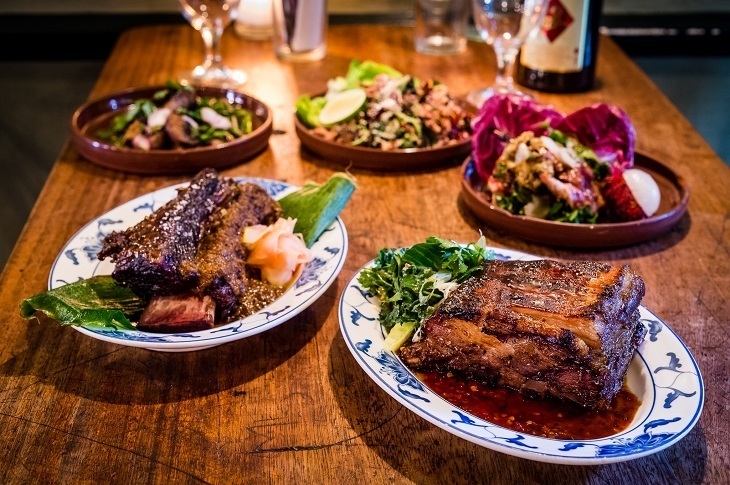 With its overabundance of sourdough and supergrain salads, you'd be forgiven for thinking that it's impossible to get fill your belly with decent grub without breaking a £20 in the hipster mecca that is Shoreditch. But that's simply not true. So put down that soggy supermarket sarnie and get stuck into some proper food at our favourite local spots for cheap lunchtime eats instead. 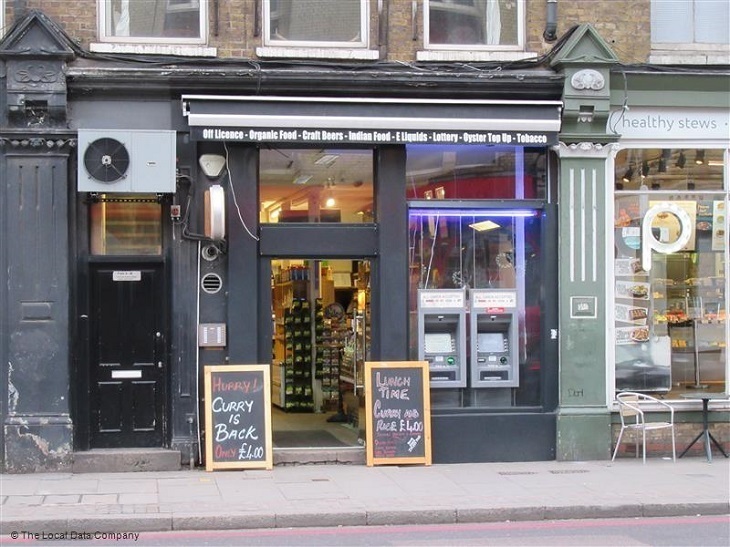 There are two reasons people might be wary of sampling Shoreditch Plus's curries — the dirt cheap price (just four quid for curry and rice), and the fact that it's sold out of a newsagents. However, don't let either of those put you off, their daily homemade curries rival anything sold on Brick Lane. What to order: £4-£5 gets you a takeaway box of three curries (including chicken tandoori, paneer, mushroom, daal — the list goes on) rice and a poppadom. A Brick Lane Institution. Photo: Helen Graves. When it comes to east London's cheap eats, it'd be a crime not to mention Brick Lane's beloved 24 hour beigel shops. There's often a bit of queue at Beigel Bake but it moves quickly and, in any case, their salt beef bagel is worth the wait. A mountain of meat slathered in American mustard and sandwiched between pickle slices and fluffy carby goodness, it's the stuff of legends. 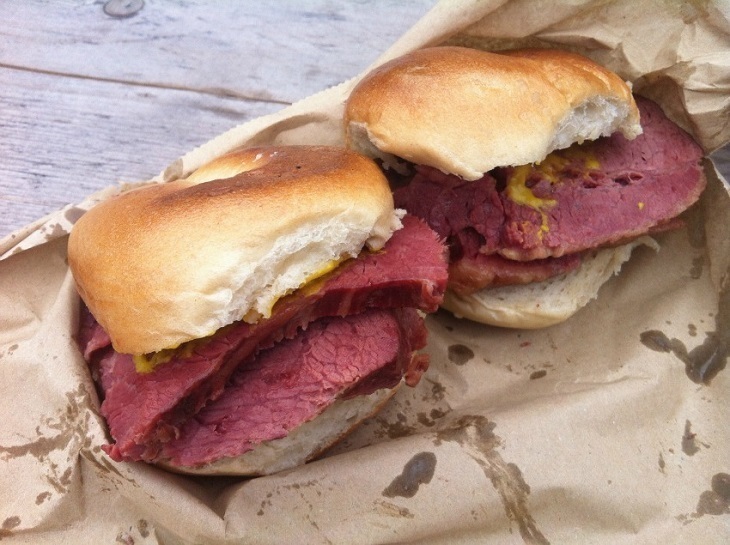 What to order: Their flagship foodstuff, the salt beef bagel (£4.30) is an absolute must for newbies. But if you're after something lighter, the salmon and cream cheese offering is a steal at less than £2. 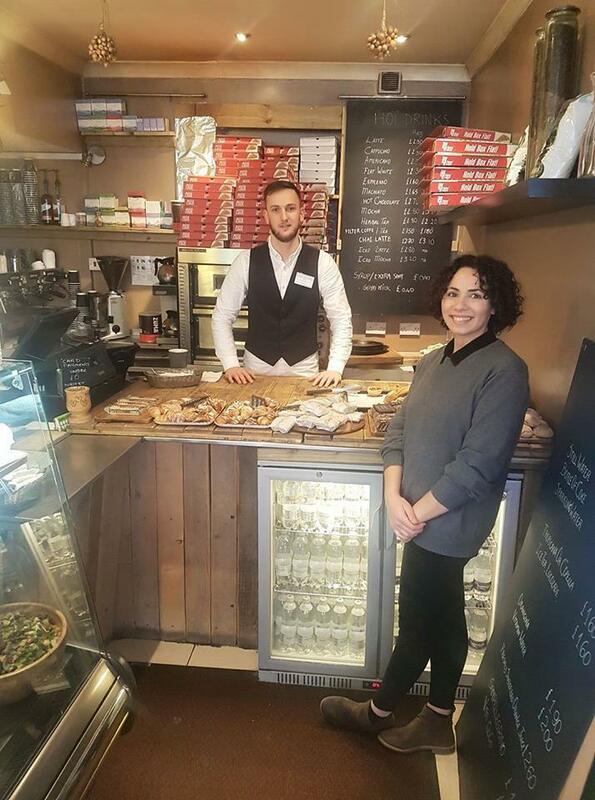 Whether you fancy a salad, pizza or a super burger, there's bound to be something that tickles your fancy at this friendly, family-run cafe. And almost all the dishes on offer cost under a fiver. What to order: With so much choice, it really depends on your appetite. Grab a classic Napoletana for £4.20, or really splash out with a chorizo, salsa and cheese baked potato (£5). 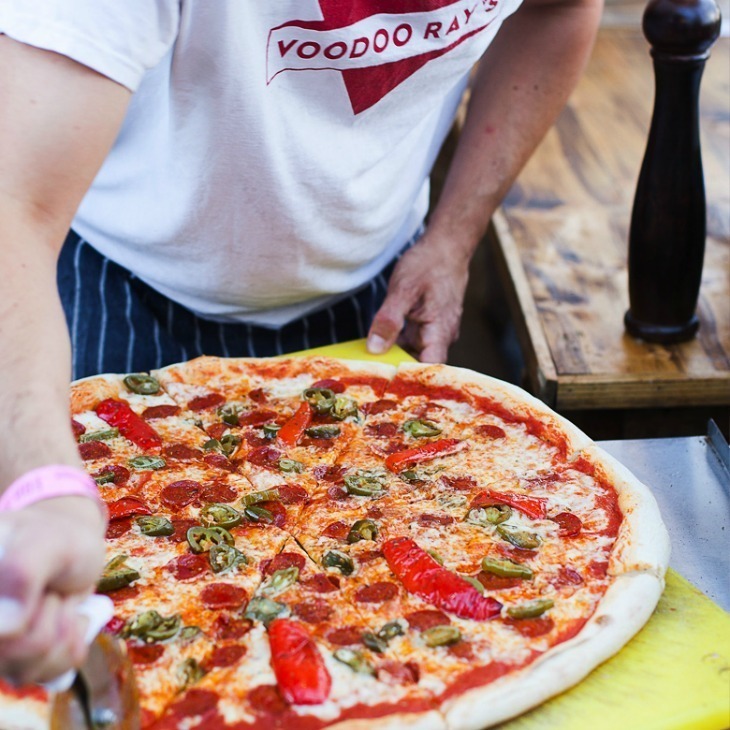 Grab a slice at Voodoo Ray's. Eat like a New Yorker at cult pizza-by-the-slice joint Voodoo Ray's. There's a wide range of pizzas on offer here, the Porky's is a favourite (topped with sausage, stilton, and red onion-y goodness), and plenty of veggie options too — this is Shoreditch after all — like the Queen Vegan. What to order: Each (massive) slice is priced at £3.50-£4 each, but if you're feeling extra hungry opt for their weekday lunch deal. That gets you any slice with a salad and a soft drink for £6.50 every Monday to Friday from noon until 4pm. An East End culinary classic at F. Cooke, Hoxton. You can't get a dish that's much more old-school London than pie and mash. 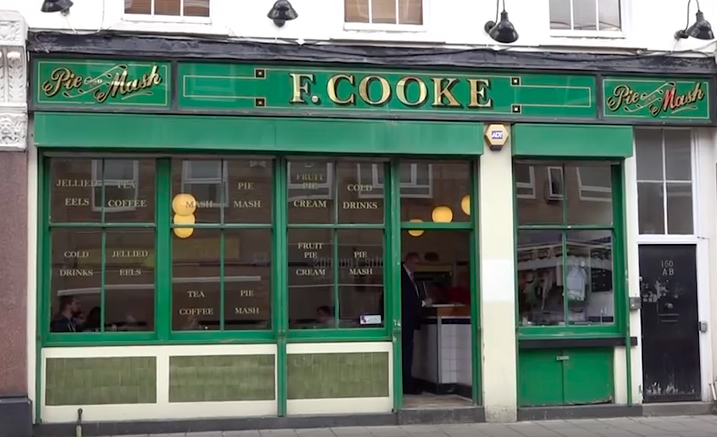 F. Cooke is one of the longest running shops in London that continues to serve up the East End culinary classic, with a pint-sized menu comprised of pie, mash, eels and liquor made in-house from scratch. Just don't make the faux pas of asking for gravy. What to order: It's a bit of a no-brainer really. Go for a large pie, mash, and liquor. Last time we checked it cost £4.30. Ok, so you might not get this quantity of food for under £7, but here's a flavour of what to expect . You get more bang for your buck with Smoking Goat's Bangkok-inspired street food dishes. Bulk out their spicy economy curry with jasmine rice or, if you fancy something lighter, there's smoked aubergine with egg and chilli. 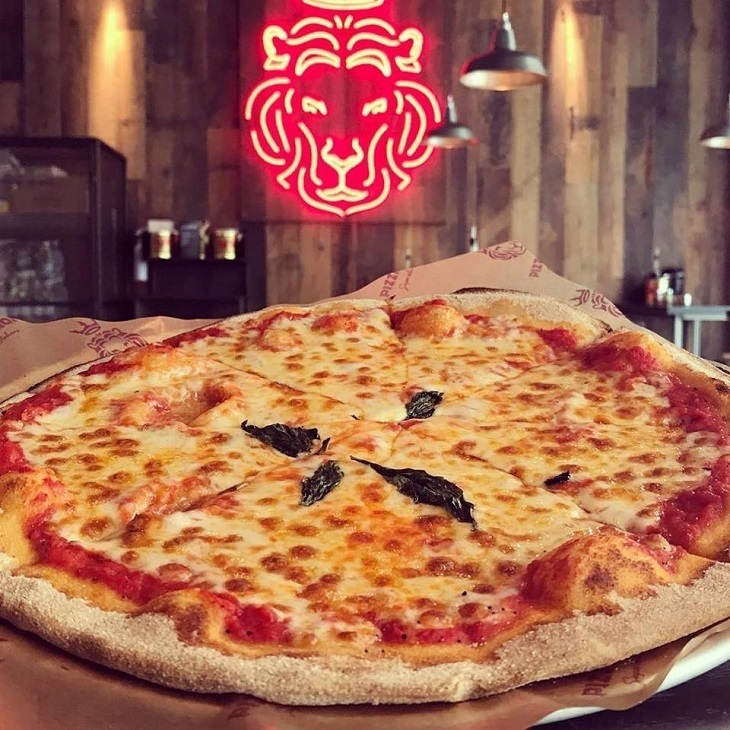 Sure, this may be the third pizza place on our list but with 12" pies starting at just £3.95, it's just good financial sense to keep those carbs coming. They also offer salads from £2.50 if you're really trying to commit to that whole five-a-day thing. What to order: Get the classic margherita for a super bargain (£3.95), or the Romana — with pancetta bacon, goats cheese, and broccoli — if you're feeling flush (£6.50). Named after Greenwich Village's famous nightclub hub, Bleecker offers authentic NYC-style burgers — think aged meat, toasted buns, and suspiciously orange cheese. Their delicious sauce remains a well-kept secret. 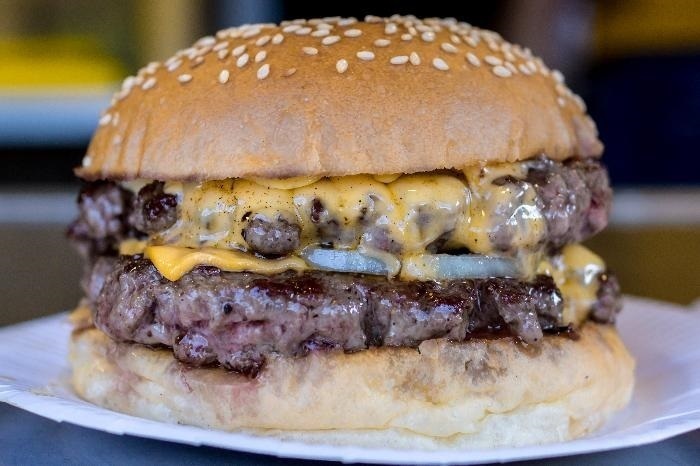 What to order: The classic cheeseburger costs just £6.50, or add another 50p and try something more pungent — the blue cheese and onion burger. 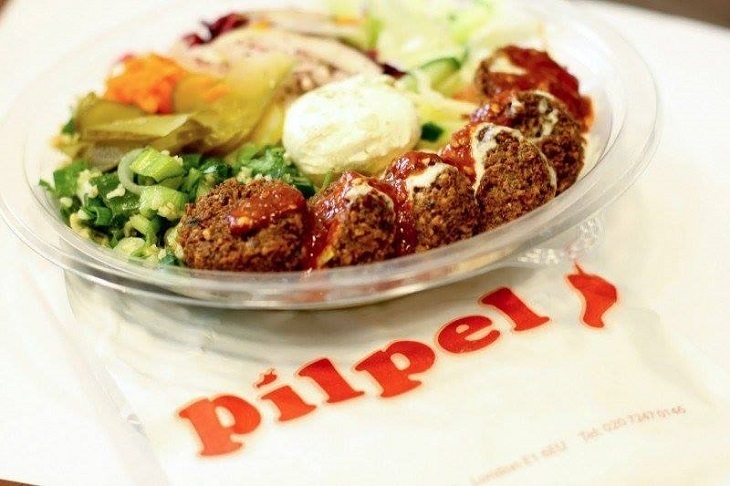 It may be a chain, but Pilpel offers some of the best falafel the city has to offer, finding that perfect balance between a crisp coating and fluffy centre. If they're not too packed, you might get a free falafel to munch on while they prepare your meal. What to order: A pitta stuffed with salad, tahini, chilli and falafel costs just £4.99, or fork out an extra quid for a larger container. Know anywhere else that you think serves a deserving economic lunch in Shoreditch? Shout them out in the comments below.